Joseph Bates Jr. was about a year old in 1793 when his parents, Col. Joseph and Deborah (Nye) Bates, moved with their family into the house in Oxford Village that they purchased from Zerviah Wood. Built in 1742, the house, now numbered 191 Main Street, was one of the oldest in the area. Here young Joseph grew up in a well educated and devout household, his father being both a Deacon of the Congregational Church and a founder of the New Bedford Academy. Living in a busy seaside community, young Joseph dreamed of sailing on the world’s oceans. With his parents’ permission, he became a cabin boy on the ship Fanny at the age of fifteen and went to sea. Not long afterward, though, he was impressed into service by the British navy and locked up Dartmoor Prison during the War of 1812. Finally released in 1815, he returned to Fairhaven after a lengthy absence, but soon shipped out as a second mate on a merchant ship. Bates rose through the ranks to become a captain by the age of 28. During the time his career was advancing, Joseph Bates Jr. married Miss Prudence Nye and joined the Christian Church that his wife had become involved in. This liberal group promoted individual freedom of thought and adult Baptism. By 1824, Bates had signed a personal covenant to serve God. He also gave up all alcoholic drinks as well as coffee and tea and adopted a more healthy lifestyle. In 1827, Bates helped found the Fairhaven Temperance Society, said to be the first of its kind in America. 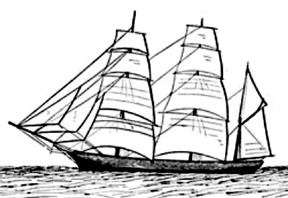 Also in 1827, he commanded the Empress, the first “dry” ship to sail from the port of New Bedford. After the ship was at sea, Captain Bates announced there was no liquor onboard except for two bottles of spirits in the medicine chest. At the age of 35, Joseph Bates Jr. retired from the sea with a fortune of about $11,000. In 1832, Bates, Warren Delano I and Jabez Delano raised funds for the construction of the Washington Street Christian Meetinghouse. In 1839, Bates attended a lecture in New Bedford on the subject of the Second Coming of Christ. It was then that he learned of William Miller’s prediction that Christ would reappear on earth between March 21, 1843 and October, 1844. Miller had based his prediction on precise scientific calculations, which seemed particularly convincing. Natural events such as meteor showers and the appearance of a bright comet were viewed as additional signs from the heavens. 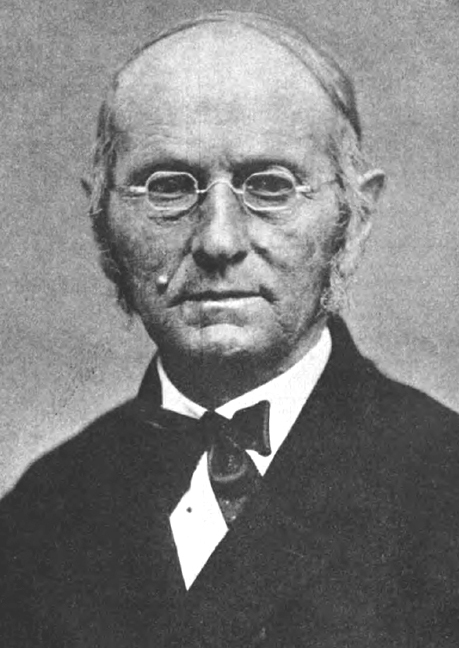 Bates became a dedicated promoter of the Adventist message and helped organize a General Conference on the coming of the Lord in Boston in 1840. The following year, Bates invited William Miller to Fairhaven. Beginning on March 15, 1841, Miller delivered a series of fifteen lectures at the Washington Street Christian Meetinghouse. The lectures caused a sensation both in Fairhaven and in New Bedford where Miller lectured a week later. For the next three years Joseph Bates Jr. spent a great deal of time and energy spreading the word. Then came the distressing realization that three separate dates predicted for the Second Coming in 1843 and 1844 had passed uneventfully. Known as the “Great Disappointment,” this was a time when many Adventists lost faith in the message. 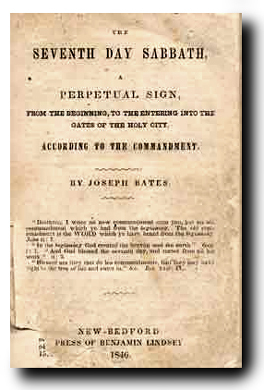 In August of 1846, Bates wrote a 48-page booklet titled “The Seventh-day Sabbath, A Perpetual Sign,” and had it printed by Benjamin Lindsey of New Bedford. A copy of Bates’ tract was sent to James and Ellen White, prominent Adventist preachers. When Ellen White claimed that a vision from God confirmed the Joseph Bates’ theory, the Seventh-day Adventist message quickly spread. Bates sold all of his property in Fairhaven in 1858, paid off his debts and moved to the vicinity of Battle Creek, Michigan, which was a center for the growing Seventh-day Adventist movement. There, on May 21, 1863, the Seventh-day Adventist Church was officially organized. Nine years later Joseph Bates Jr. died, on May 7, 1872. Click on the links below to learn about places connected to Joseph Bates Jr.